Whenever I am out on my bike my wife worries. To keep her mind at rest I try to text or call home at least every two hours. Of course, that in itself can lead to anxiety because if I forget to call then she inevitably assumes the worst. This little device may be the thing I need. 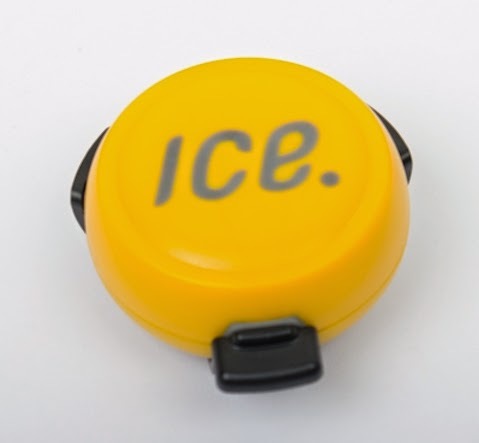 The ICEdot is a small yellow pod that offers peace of mind to loved ones, letting them know if something has happened when you may not be able to. Using an accelerometer, gyroscope, and a low energy Bluetooth connection to a smartphone; the ICEdot uses a proprietary algorithm to detect an impact. [Yeah I know, the point is – it can detect a crash]. The USB rechargeable crash sensor easily mounts to the back of any helmet with just a few zip-ties, or included industrial strength double-side tape. An added bonus is a ‘Track Location’ feature. The associated smartphone app used to manage the emergency call system can track your whole ride and post it live to your ICEdot profile. That means your loved ones can ‘see’ where you are at any time. The downside is that your ‘3 hour ride’ down the pub might soon be discovered. Previous Post Is Cycling End to End Too Dangerous?